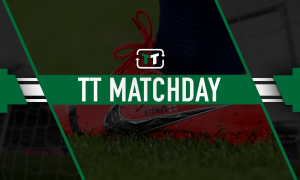 Bullet dodged: Late Liverpool transfer collapse spared Brendan Rodgers' blushes - Verdict | The Transfer Tavern | News, breakdown and analysis on all things football! It seems an odd concept, Liverpool without an abundance of quality on the wing. However, that’s exactly the problem the club faced in 2014 when they were trying to sign Ukrainian star Yevhen Konoplyanka to help bolster their Champions League squad. Brendan Rodgers, a man notorious for making some pretty questionable transfers in his time -including, but not limited to, Christian Benteke, Fabio Borini, Joe Allen, Alberto Moreno and Rickie Lambert – was in charge of the ill-fated transfer, so it’s hardly surprising things went south. Maybe even positive that it did. Indeed, Rodgers history as a pretty atrocious judge of player is probably the one thing that was holding Liverpool fans together at the time when soothing the disappointment of the Konoplyanka saga. Yes, Liverpool left empty handed that window, and, yes, their Champions League journey wasn’t particularly successful because of it. But the club was spared of another Rodgers shocker – surely that’s enough? The deal really did come down to the wire. The player had agreed terms of his move to the Premier League and relevant members of Liverpool’s medical team had travelled out to Ukraine to ensure the deal could go through. However, despite Liverpool meeting the buy-out clause in Konoplyanka’s contract, Dnipro president, Ihor Kolomoyskyi, rejected it at the very last minute in an almost cruel act of transfer teasing. Reflecting on the flunked deal, Rodgers said (via The Guardian): “It certainly hasn’t been because of a lack of work by the football club. There are lots of people who have worked tirelessly to identify and find the right types of players. A lot of those players haven’t been able to become available for us. Interestingly, Yevhen Konoplyanka moved to Sevilla just a year after the Liverpool debacle on a free transfer. Though Spain was a little kinder to him than England would have been, it was evident that he didn’t possess the ability to make it at the top of the Premier League. Just the classic case of ‘big fish small pond’ when he was in Ukraine; the averageness of surrounding players making him look infinitely better than he was. Schalke is now his home and having scored just six goals in 56 Bundesliga appearances, we doubt there will be much interest from the Anfield camp from now on. A dodged bullet. Dnipro, on the other hand, have since collapsed into the Ukrainian Amateur League.